This is the story of ordinary life in an extraordinary place. The beautiful city of Venice has been a fantasy land for people from around the globe for centuries, but what is it like to live there? To move house by boat, to get a child with a broken leg to hospital or to set off for school one morning only to find that the streets have become rivers and the playground is a lake full of sewage? 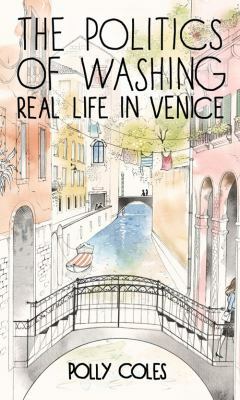 When Polly Coles and her family left England for Venice, they discovered a city caught between modern and ancient life – where the locals still go on an annual pilgrimage to give thanks for the end of the Black Death; where schools are housed in renaissance palaces and your new washing machine can only be delivered on foot. This is a city perilously under siege from tourism, but its people refuse to give it up – indeed, they love it with a passion. Elizabeth Blackwell, the first female doctor in America, was one of this intrepid band. Another was Charles Sumner, who enrolled at the Sorbonne because of a burning desire to know more about everything. There he saw black students with the same ambition he had, and when he returned home, he would become the most powerful, unyielding voice for abolition in the U.S. Senate, almost at the cost of his life. Two staunch friends, James Fenimore Cooper and Samuel F. B. Morse, worked unrelentingly every day in Paris, Cooper writing and Morse painting what would be his masterpiece. From something he saw in France, Morse would also bring home his momentous idea for the telegraph. Pianist Louis Moreau Gottschalk from New Orleans launched his spectacular career performing in Paris at age 15. George P. A. Healy, who had almost no money and little education, took the gamble of a lifetime and with no prospects whatsoever in Paris became one of the most celebrated portrait painters of the day. Medical student Oliver Wendell Holmes wrote home of his toil and the exhilaration in “being at the center of things” in what was then the medical capital of the world. From all they learned in Paris, Holmes and his fellow “medicals” were to exert lasting influence on the profession of medicine in the United States. Writers Ralph Waldo Emerson, Nathaniel Hawthorne, Mark Twain, and Henry James were all “discovering” Paris, marveling at the treasures in the Louvre, or out with the Sunday throngs strolling the city’s boulevards and gardens. 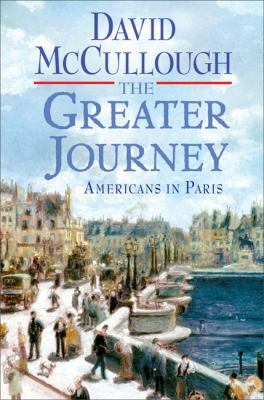 Almost forgotten today, the heroic American ambassador Elihu Washburne bravely remained at his post through the Franco-Prussian War, the long Siege of Paris and even more atrocious nightmare of the Commune. His vivid account in his diary of the starvation and suffering endured by the people of Paris (drawn on here for the first time) is one readers will never forget. The genius of sculptor Augustus Saint-Gaudens, the son of an immigrant shoemaker, and of painters Mary Cassatt and John Singer Sargent, three of the greatest American artists ever, would flourish in Paris, inspired by the examples of brilliant French masters, and by Paris itself. 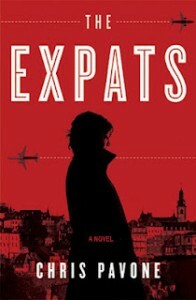 After finding out that her husband has just accepted a job in Luxembourg, Kate Moore is secretly thrilled that she can move to a foreign country and leave her deepest secret behind in the United States in Chris Pavone’s debut thriller/mystery, The Expats. After the family settles in their new home country, her husband, Dexter, throws himself into his job working long hours and taking many work related trips. Kate begins to fill her days with children’s playgroups and lunches with other expat wives who she has met. Quickly, she makes friends with Julia, another expat and her husband, Ben who live in Luxembourg with their young children. After some time, Kate begins to have misgivings about Julia and Ben and is convinced they are not who they seem. Kate is thoroughly convinced that they know her secret and they are working to expose her. She sleuths into Julia and Ben’s background and she discovers their true identities. At this point the plot takes so many twists and turns, it becomes confusing and hard to piece together at times. 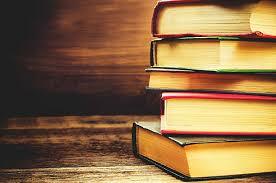 The conclusion is ambitious, creative and completely unexpected. Overall, I really enjoyed Pavone’s debut novel even though the plot didn’t always come together as I would have hoped, but I am looking forward to Pavone’s next thriller.